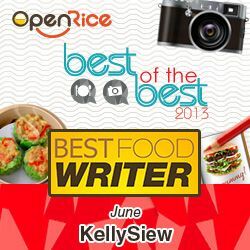 Let’s take a little break from the recipes posts and talk about the TOKL Food Awards Celebration Party, held on the 23rd Nov, at the Kuala Lumpur Performing Arts Centre (KLPAC). Ah… if not the place that holds special memories for me as I’ve done my first mini musical there while participating in the Short and Sweet Festival this year, not all that long ago. 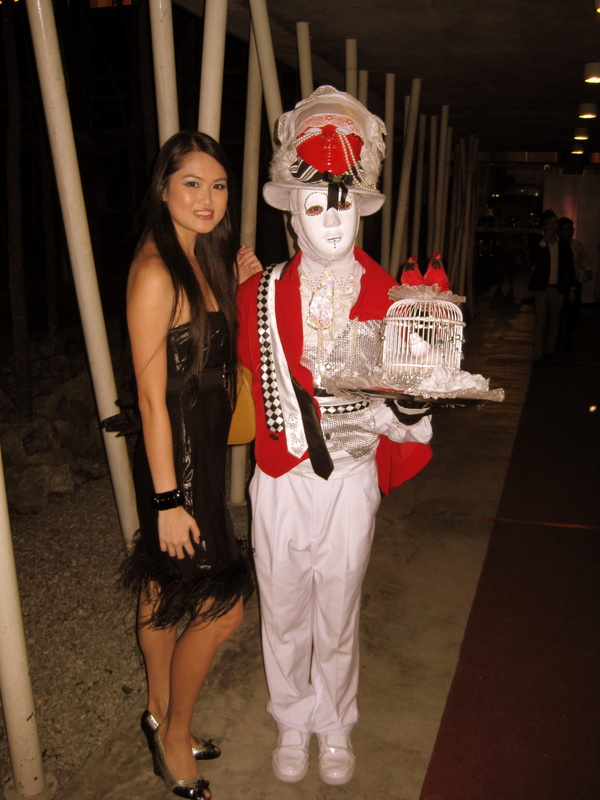 And here’s a pic of me in my little black dress and the dude in a mask with pretty bird cage. 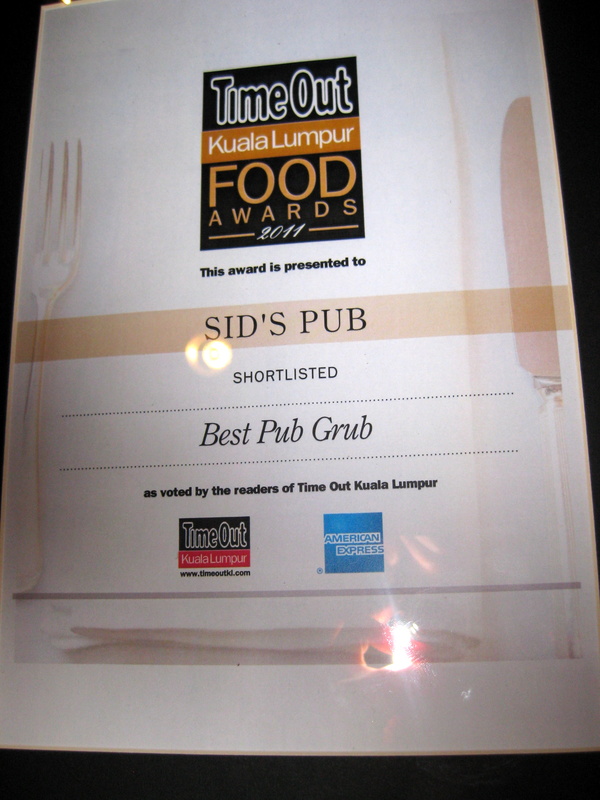 I’ve had the privilege to attend the event as guest of Sid’s Pubs which, was shortlisted as Best Pub Grub in Kuala Lumpur for the third time (I believed they won the first year and was specially commended last year), and had the chance to catch up with a few friends there too. 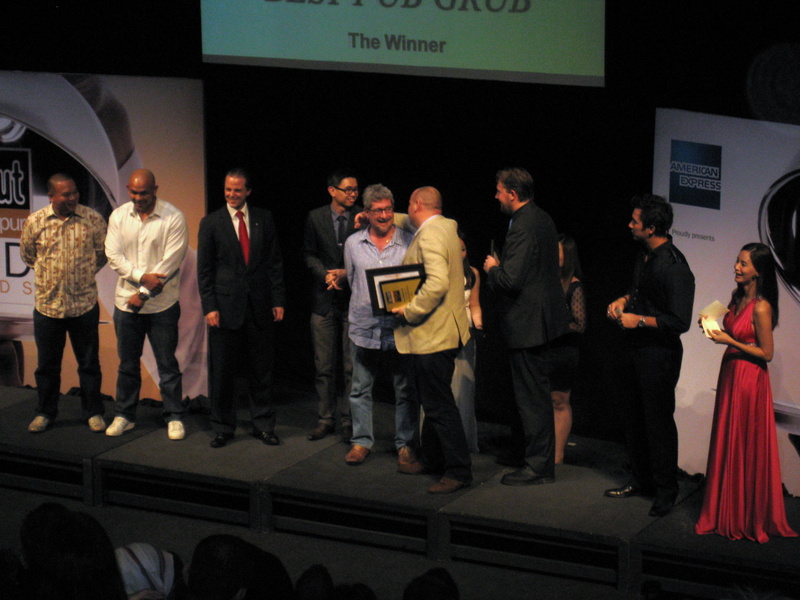 Best Pub Grub received by Ed of Jarrod & Rawlins, and hi Geoff of Sid’s Pub! Ok, that is all well and good but where’s the category for French restaurants, or Spanish? Also why is Jarrod and Rawlins which is not a pub, allowed to be shortlisted in Best Pub Grub? (Psstt… I did not say that because Sid’s Pub came second) It would have been nice perhaps to add in a category for service too since it contribute greatly to the dining experiences. In general I felt that the event was well run. The champagne never stopped flowing (though my choice of poison was the white wine) and there were plenty of laughs. One thing I do wonder though was that since it’s a food award (surely all that food talk has made everyone hungry! ), it would have been nice to be served more substantial food rather than small canapes that were scarce and far in between. Mr Google told me that last year award was much more filling, tummy-wise. I’ve also managed to get a photo with the gorgeous Daphne Iking who was the MC of the award show with Dominic Lau. Love the hot pink gown! Hopefully we’ll be back next year! 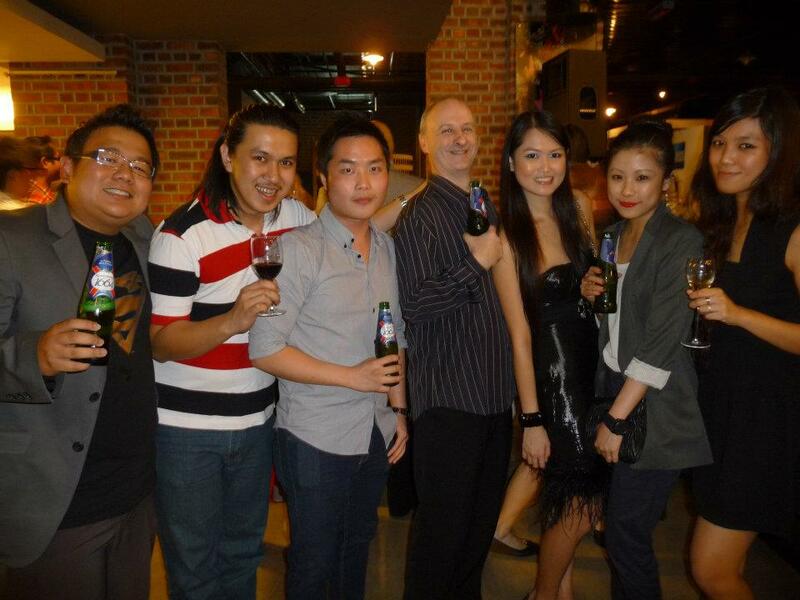 Now I also have Merry Guinness Launch next week to look forward to, can’t wait to meet Adam Liaw, Masterchef Australia 2010! Thank you. I used to blog using xanga but stopped last year. Happy to be back though! hi! thnx for your comment which enabled me to track you down :D. having a fun time in kl i see, and cooking & eating plenty but still as slim as ever. great to be young, beautiful AND slim! We have to try all these nominated and awarded places. One by one. It will be heavy lifting etc. But I think we can do it. 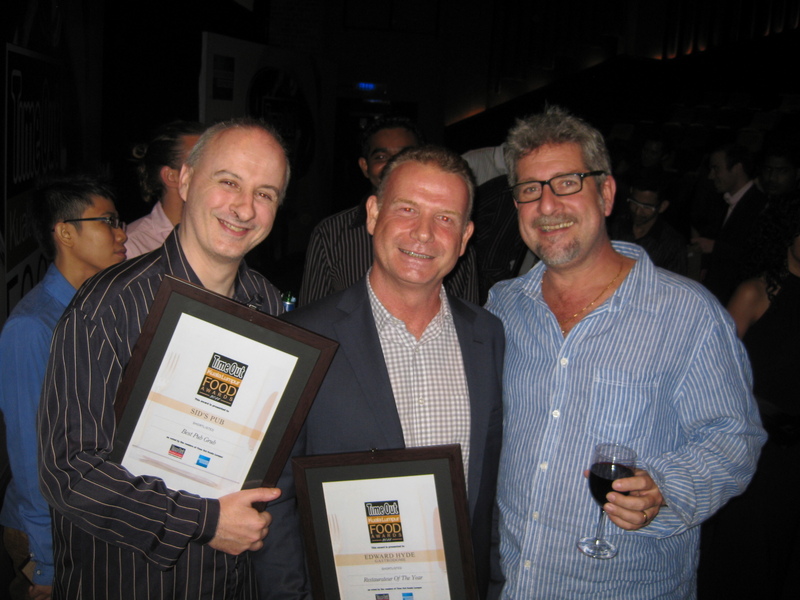 Proud to be part of the team that made Runner Up on Best Pub Grub etc. Though I still believe we’re the Top Cats! The one we tried tonight didn’t work out too well….